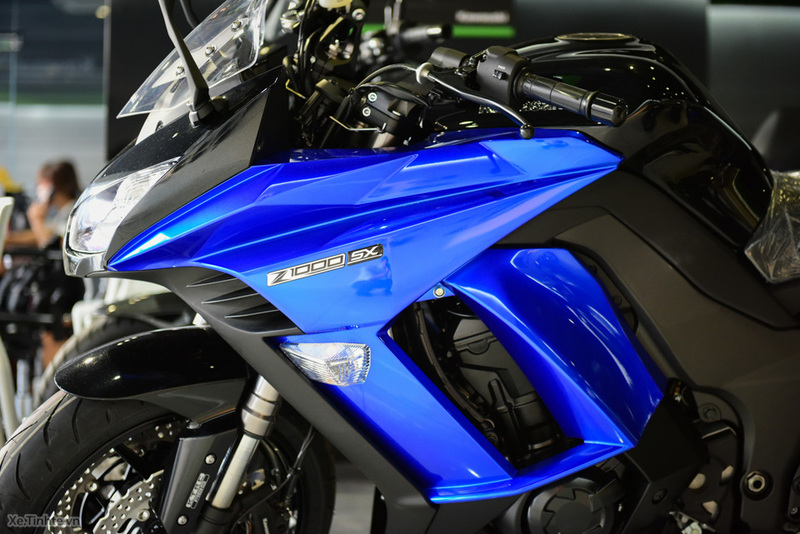 This is the sport-touring model line in 1000 cc segment. 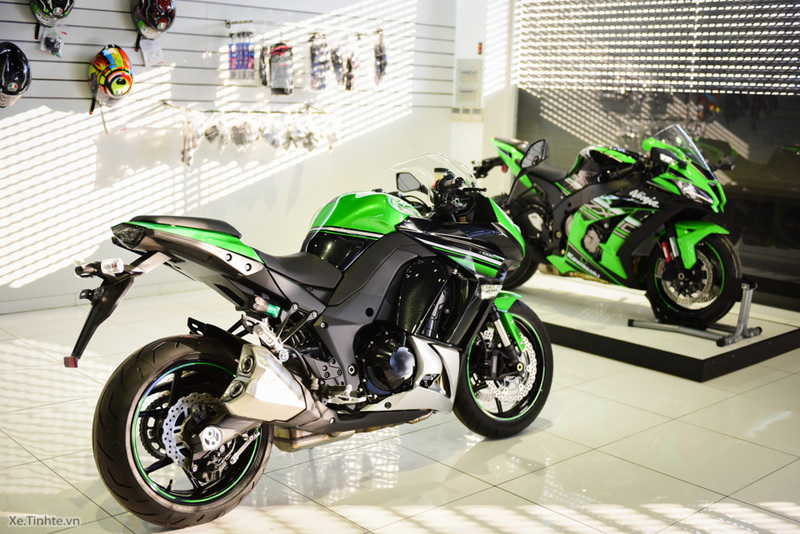 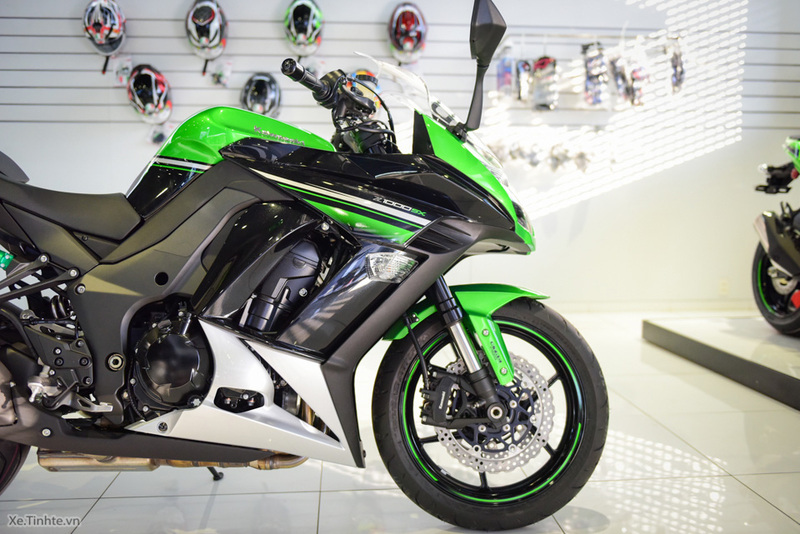 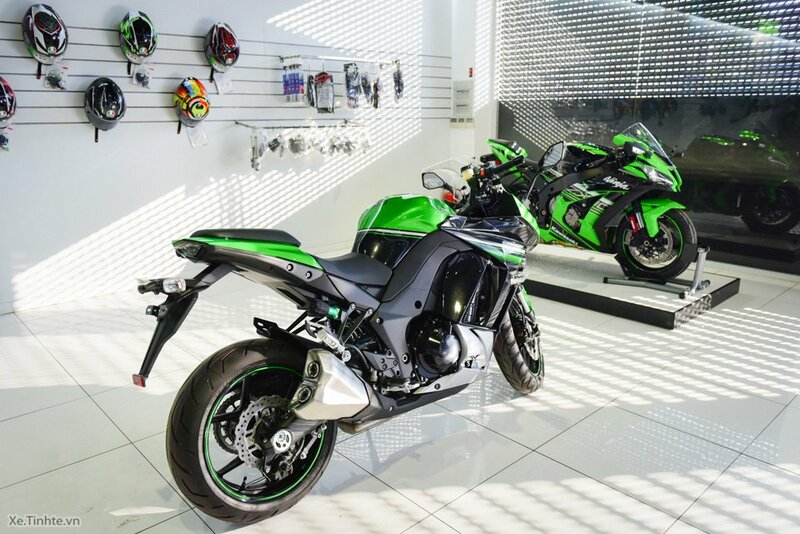 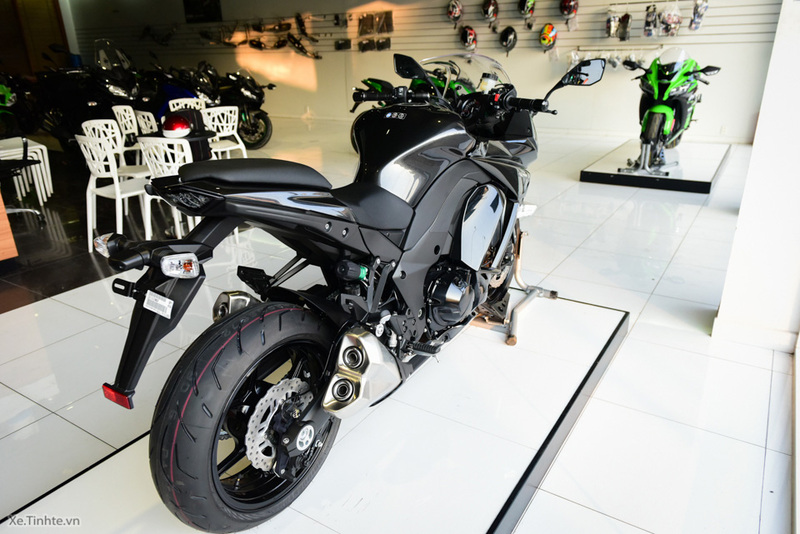 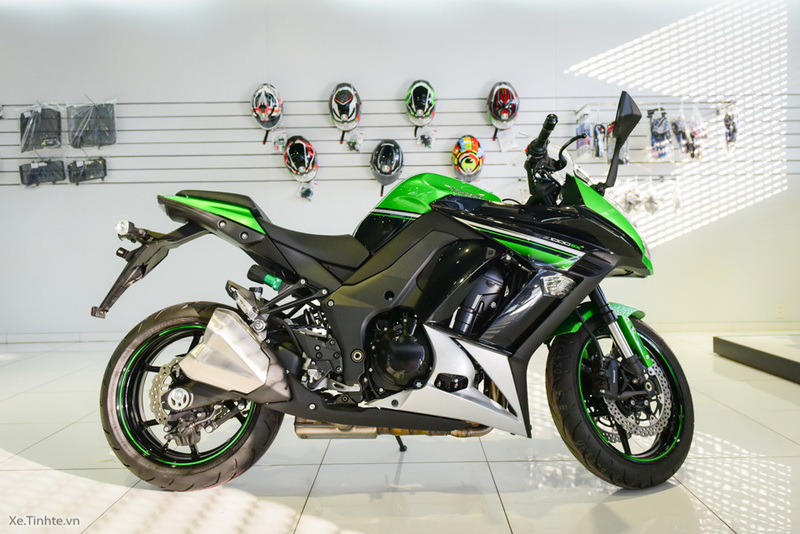 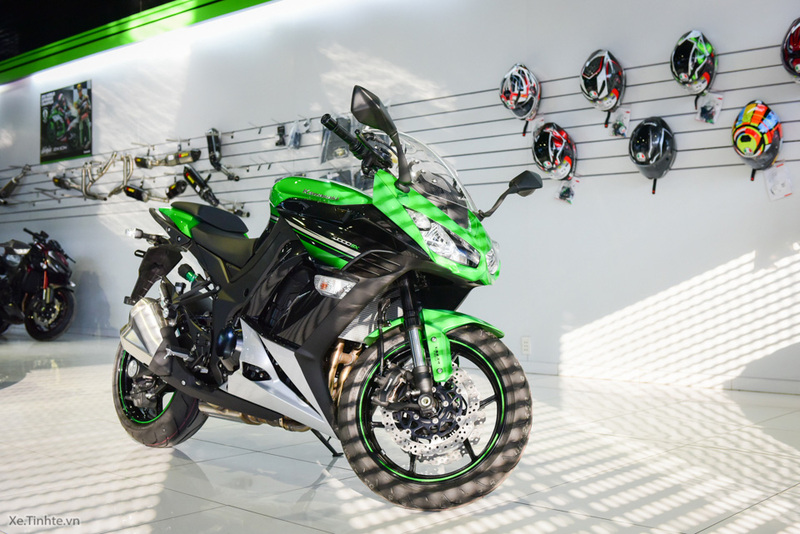 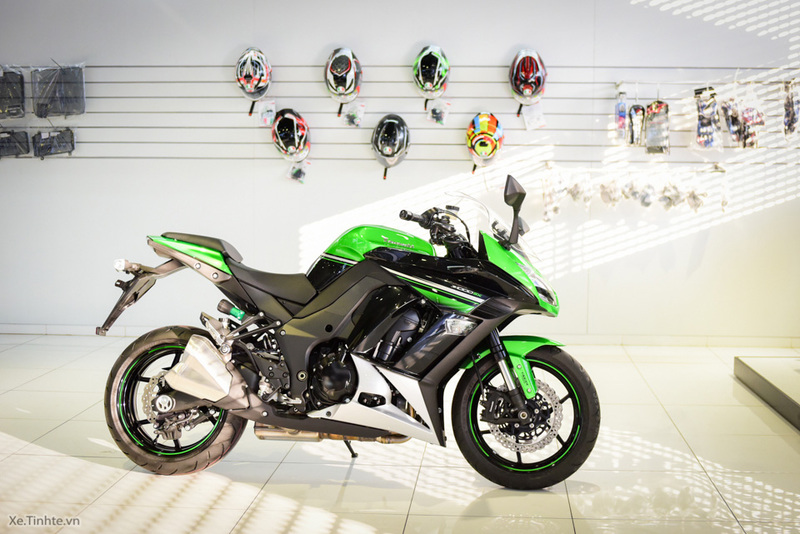 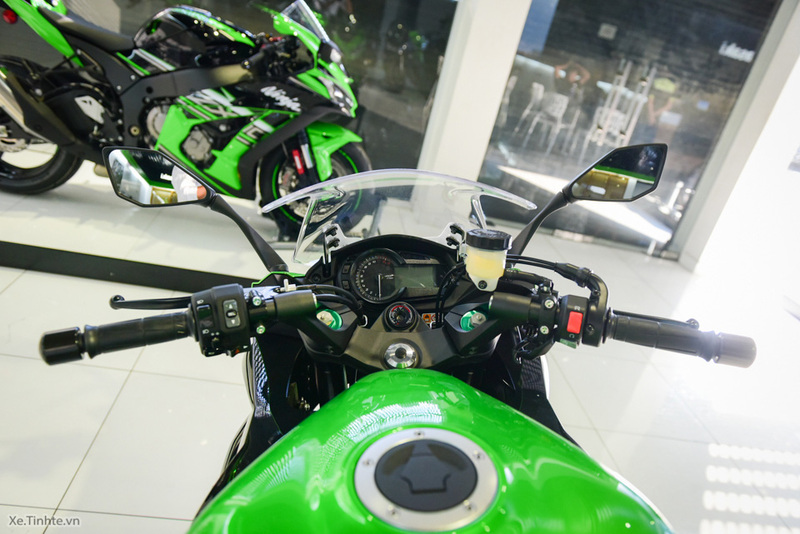 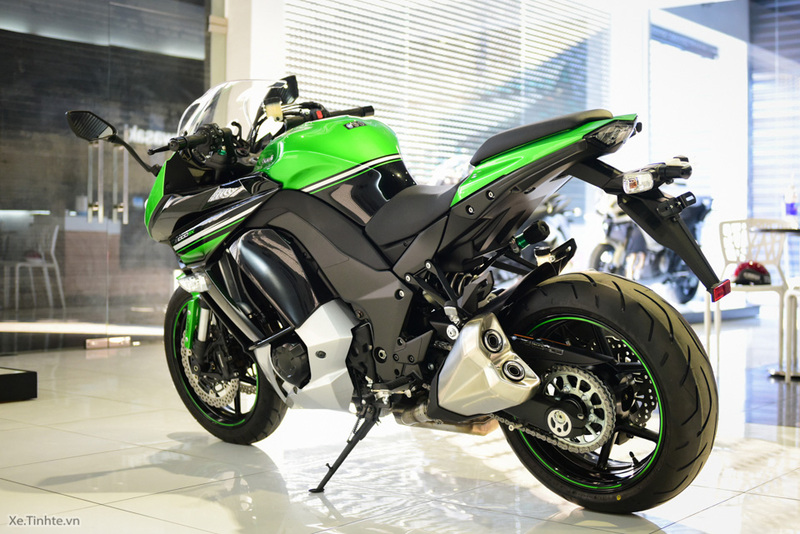 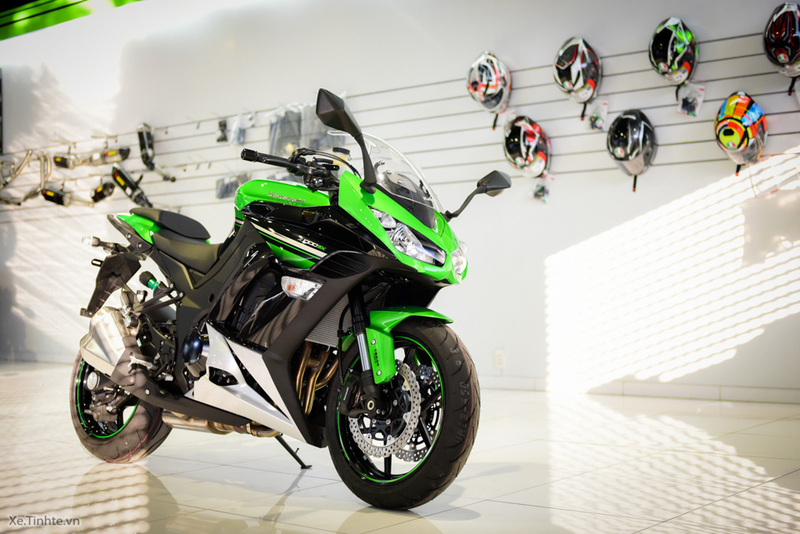 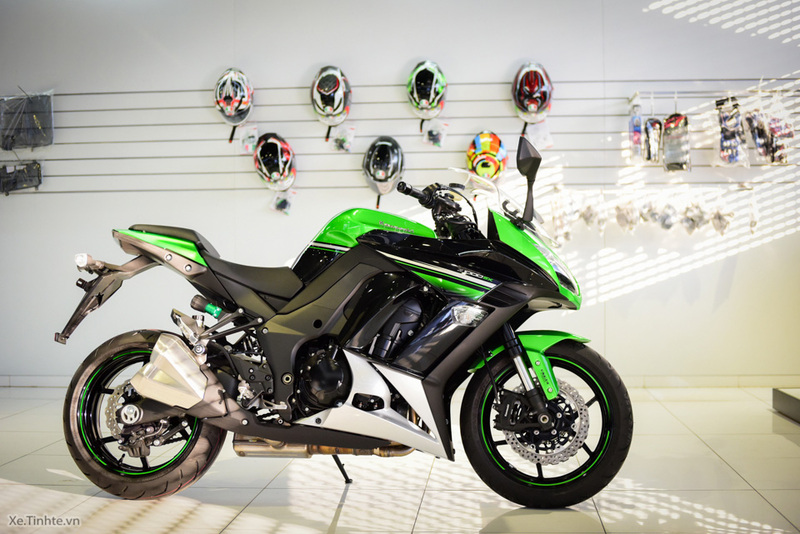 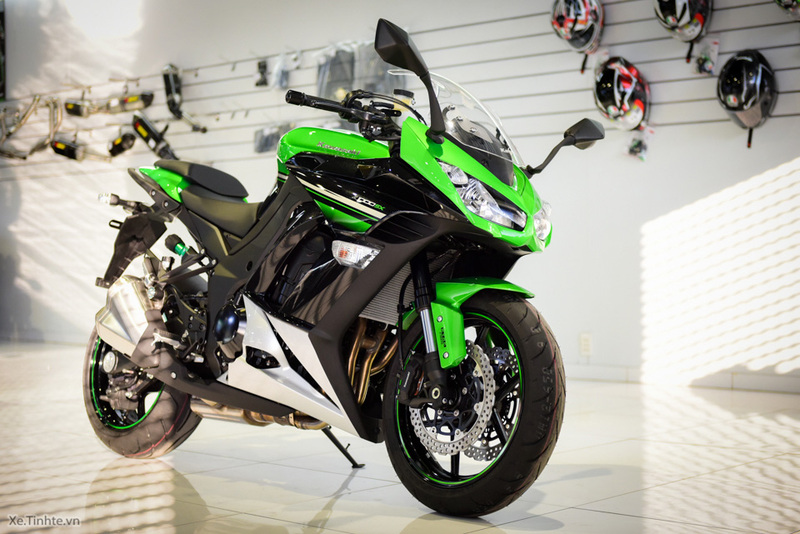 Z1000SX are considered models fill the gap between line nakebike Z1000 and Ninja ZX-10R sportbike. 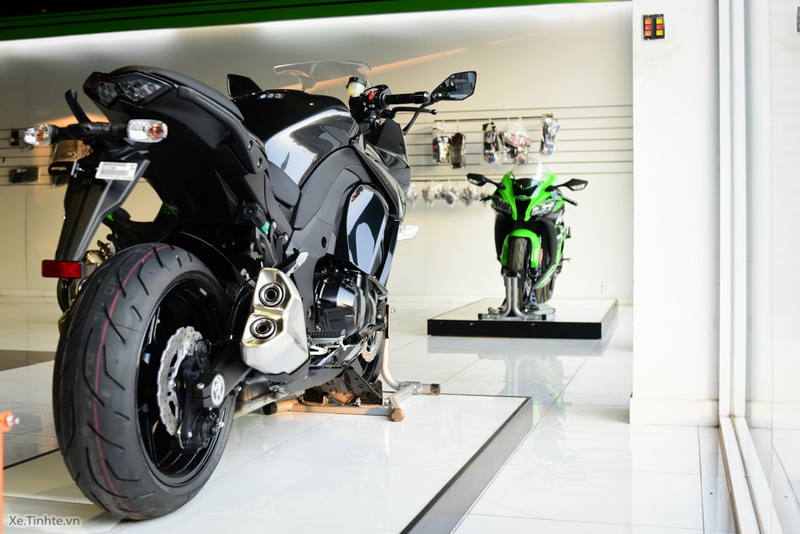 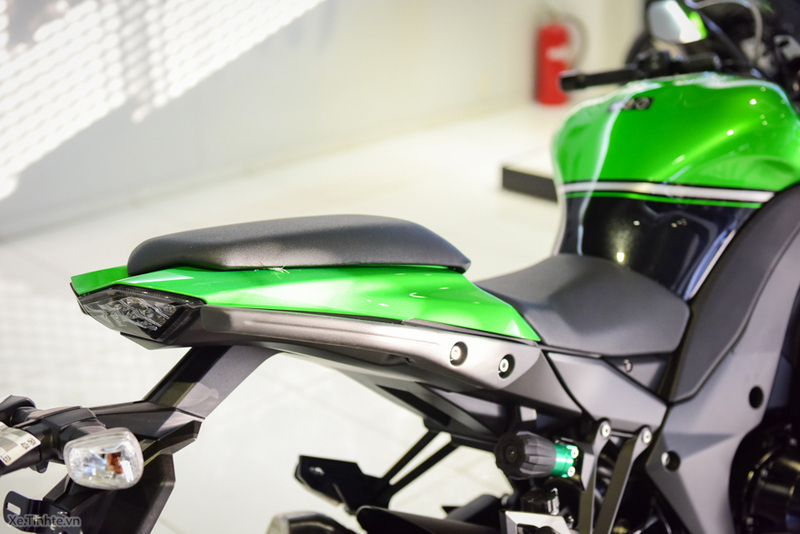 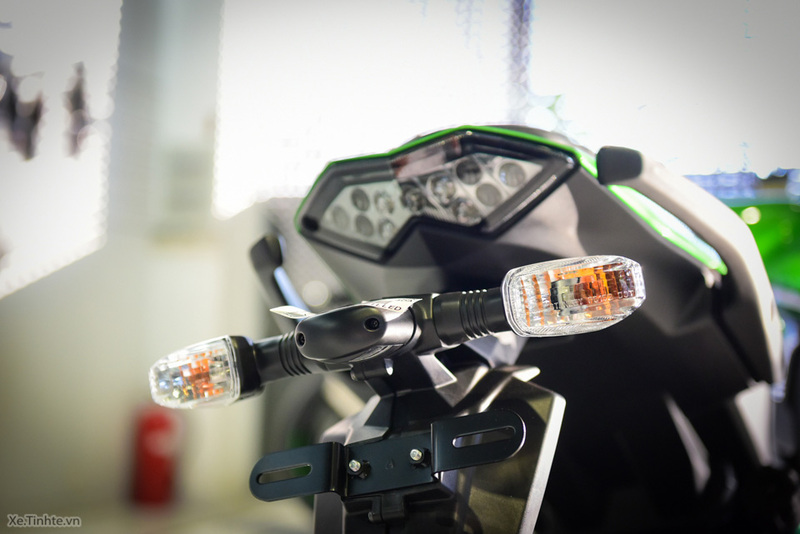 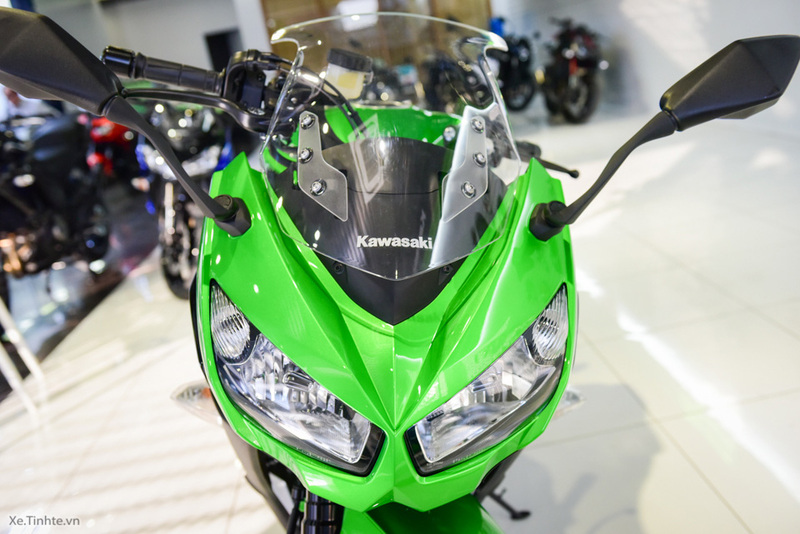 Kawasaki Z1000SX obtain the technical characteristics and the flexibility of high-performance line of nakedbike and sportbike line. 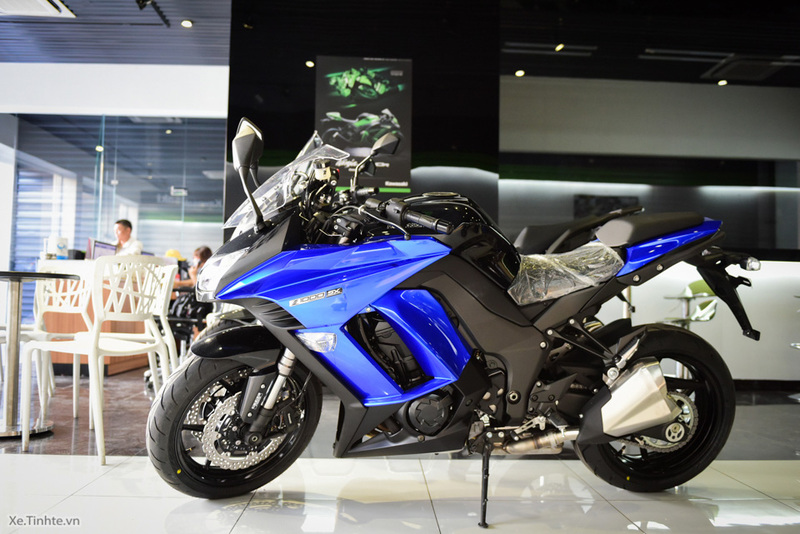 Z1000SX and appropriate to run in city conditions, both can run comfortably when going downhill, and when you want to feel the excitement of speed Z1000SX also willing to meet. 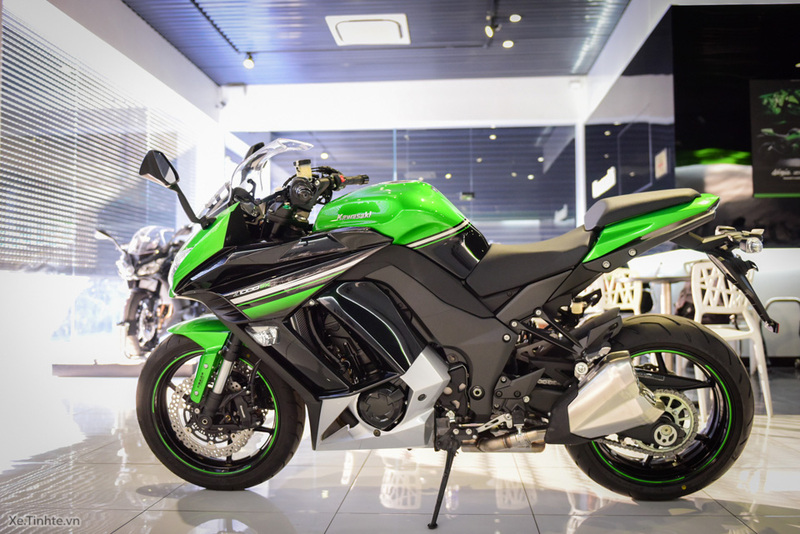 Kawasaki Z1000SX share many specifications for the Z1000 nakedbike such as engine, chassis, suspension and front fork. 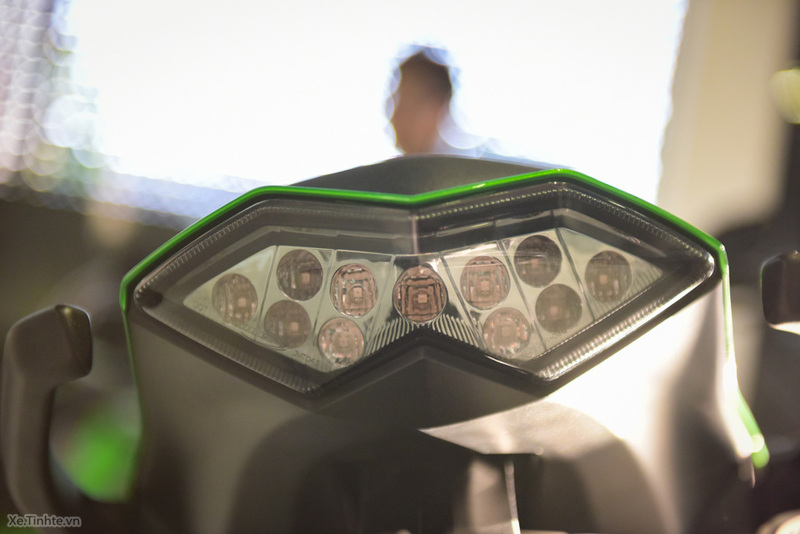 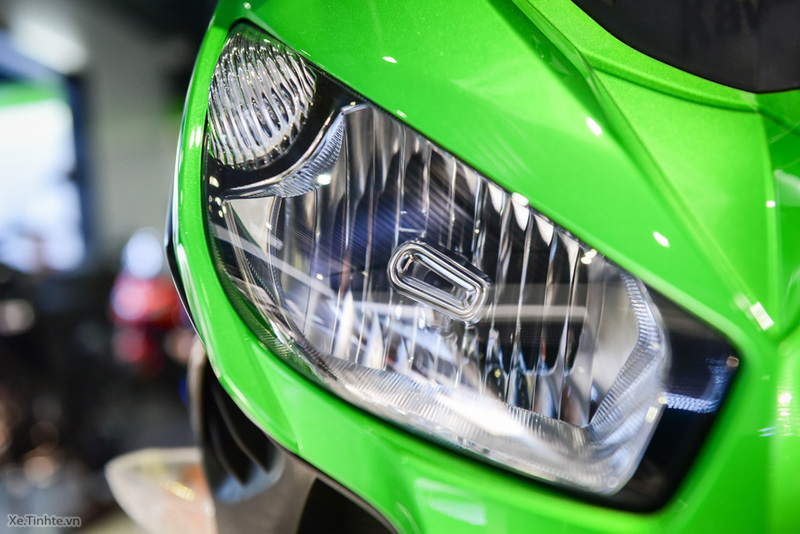 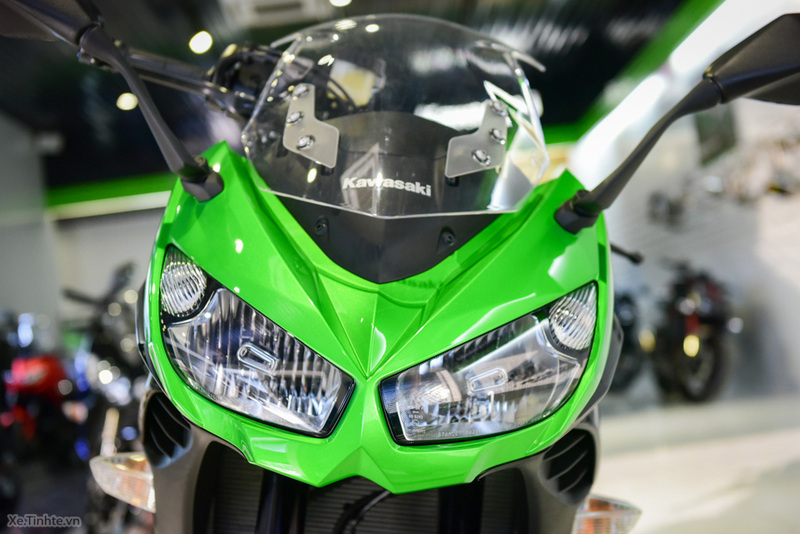 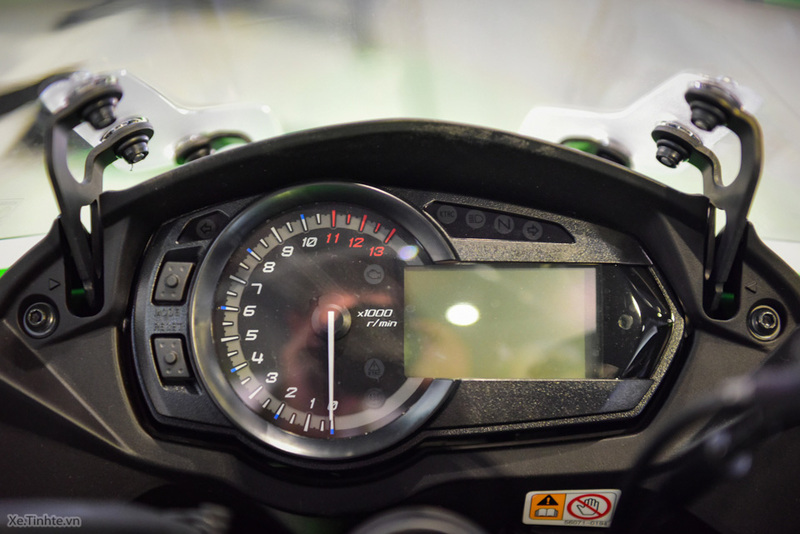 Identifying characteristics on Kawasaki Z1000SX most prominent is the dual headlights large size, along with the windshield and rearview mirror pair rising, with high handlebars touring format. 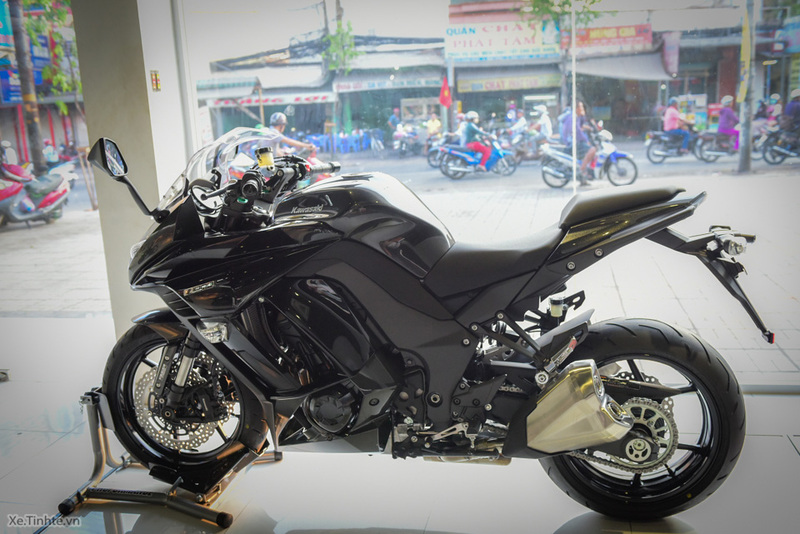 Government side, the most cynical staging motors and rugged design with lines and strong muscles. 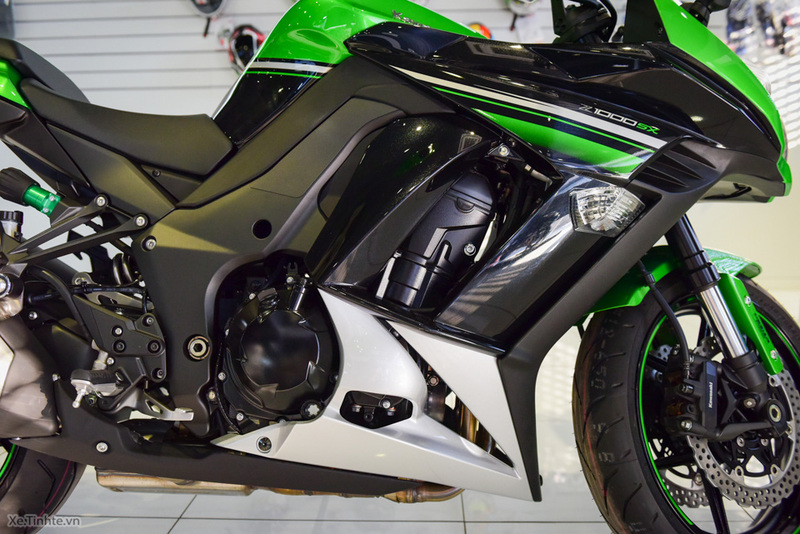 Front, Kawasaki Z1000SX equipped YSS shocks 41 mm diameter, dual disc brakes with ABS and wheel of Tokico alloy wheels 17 “with tires 120 mm. 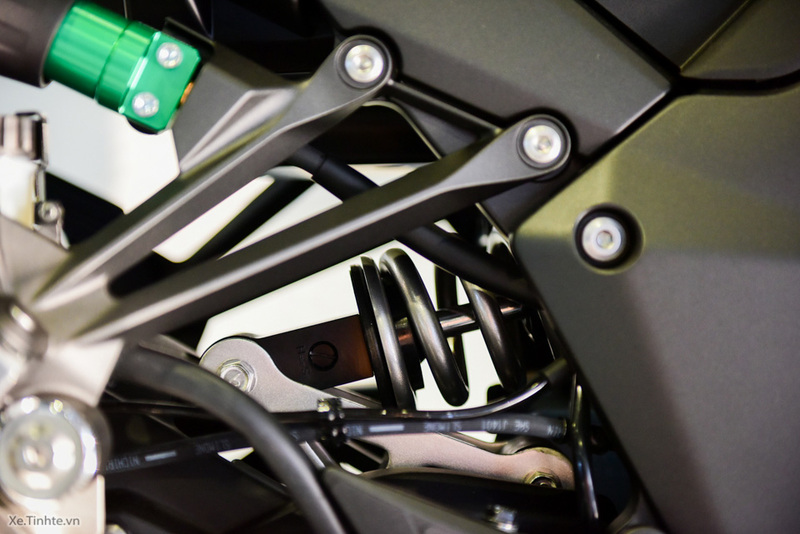 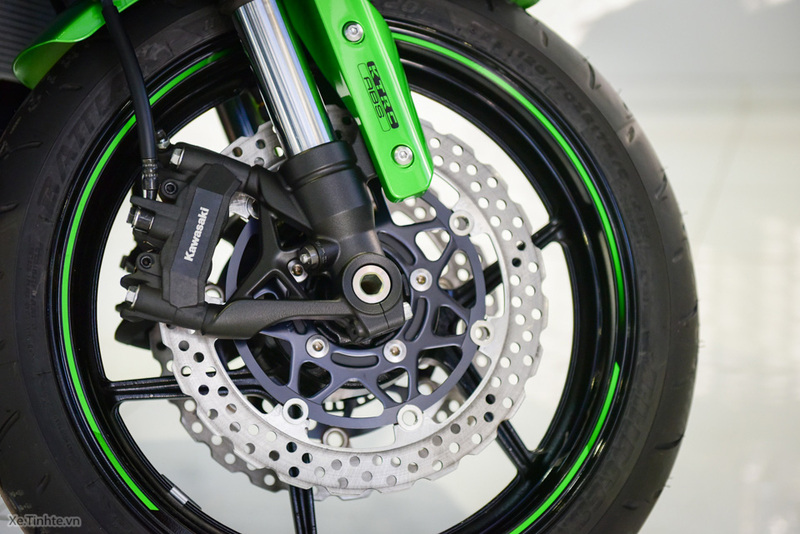 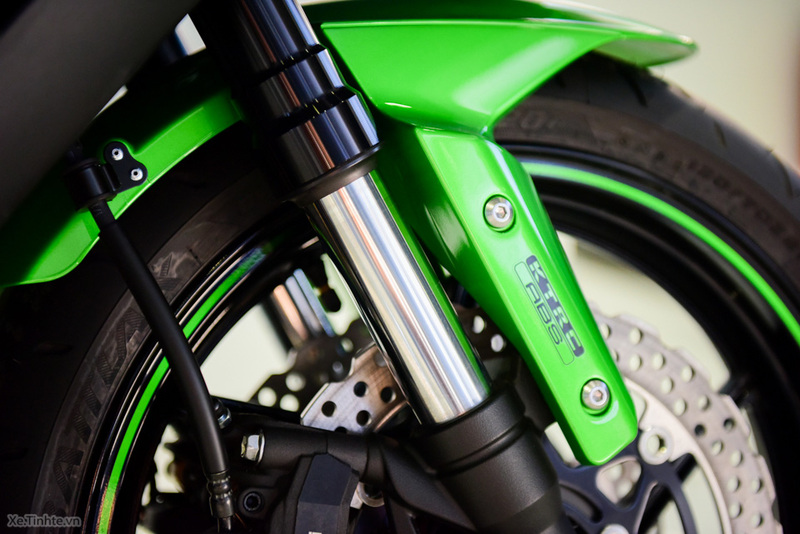 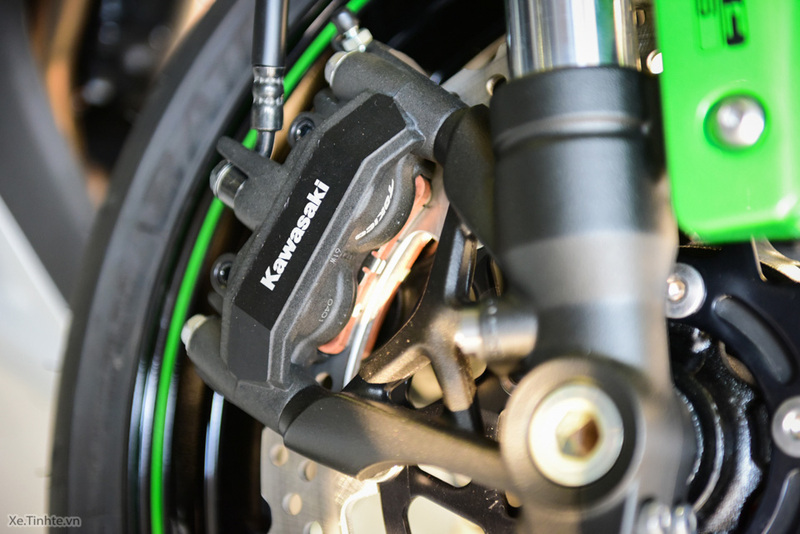 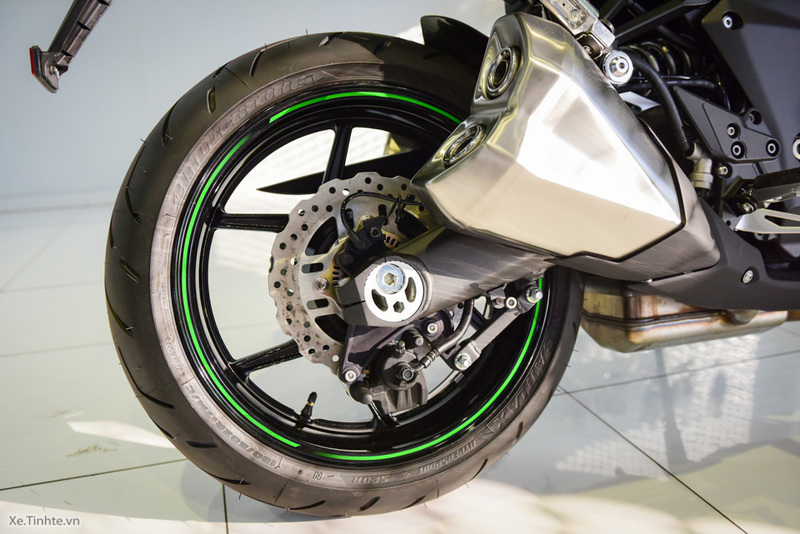 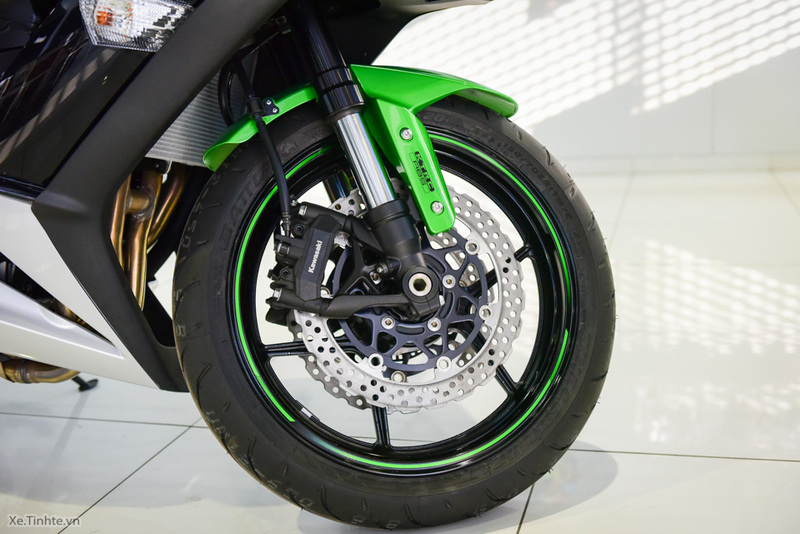 Rear monoshock is equipped shocks have similar lopsided Z1000, smaller disc brakes but also ABS, gear wheels 17 “and 190mm tires. 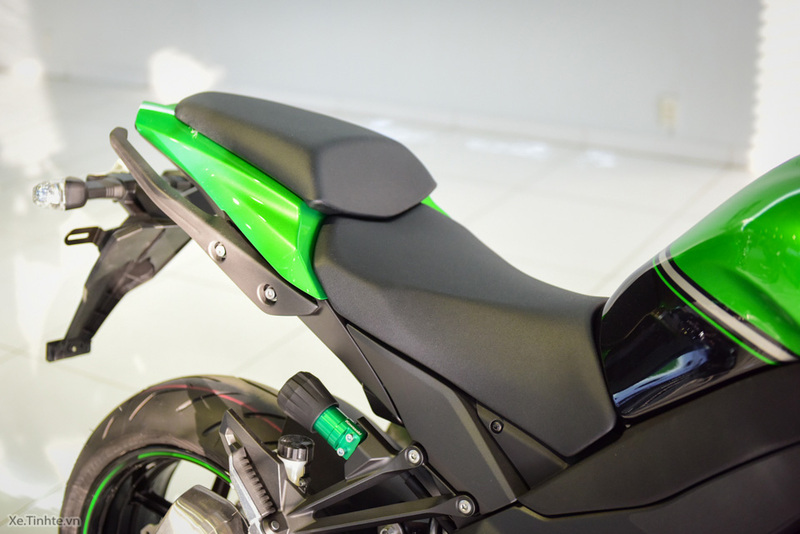 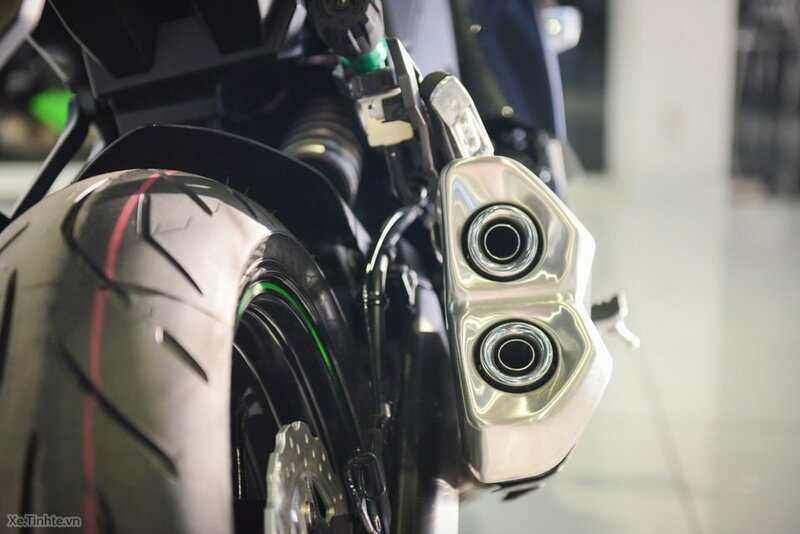 Exhaust pipes of the same type on the Z1000 Z1000SX from how to design the layout. 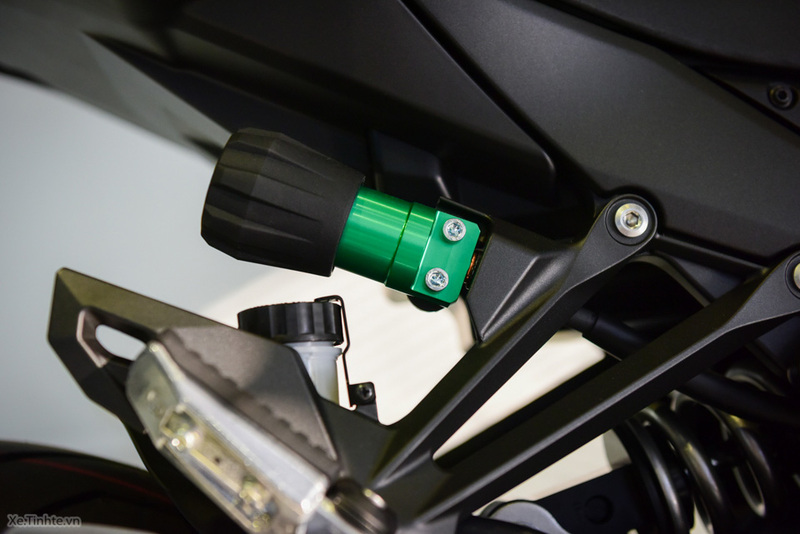 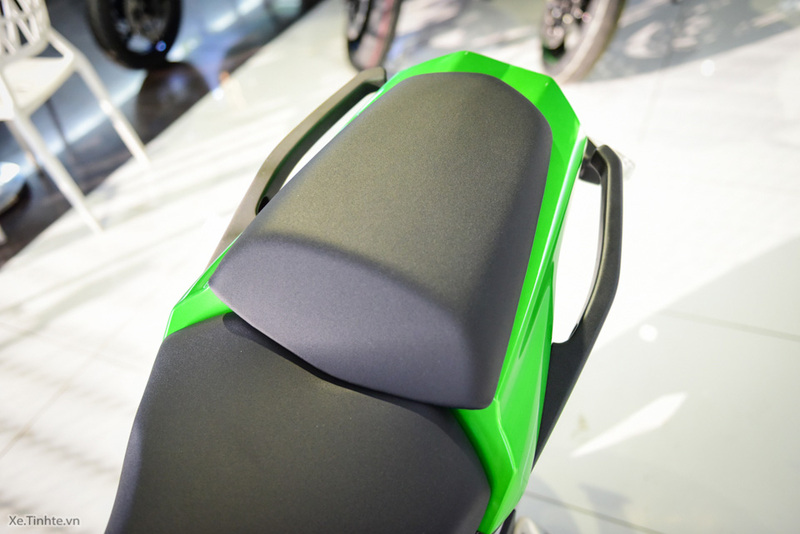 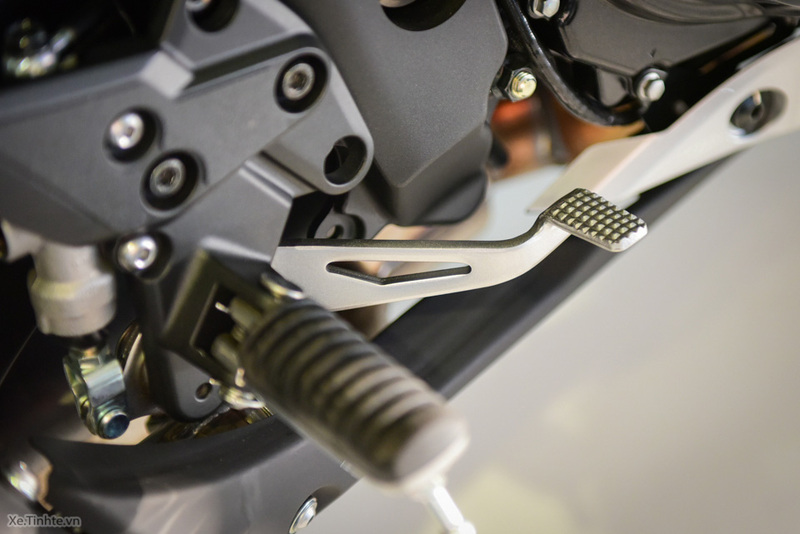 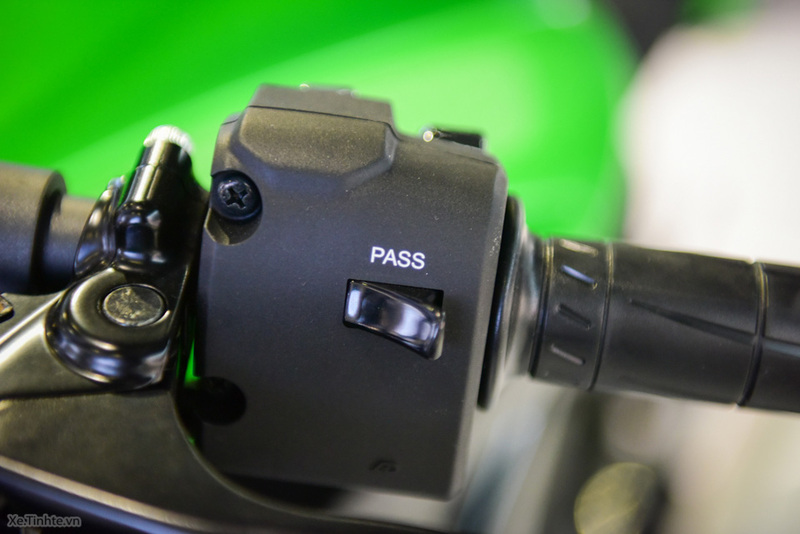 Seat height of 820mm Z1000SX are larger and designed to fit the purpose of going downhill. 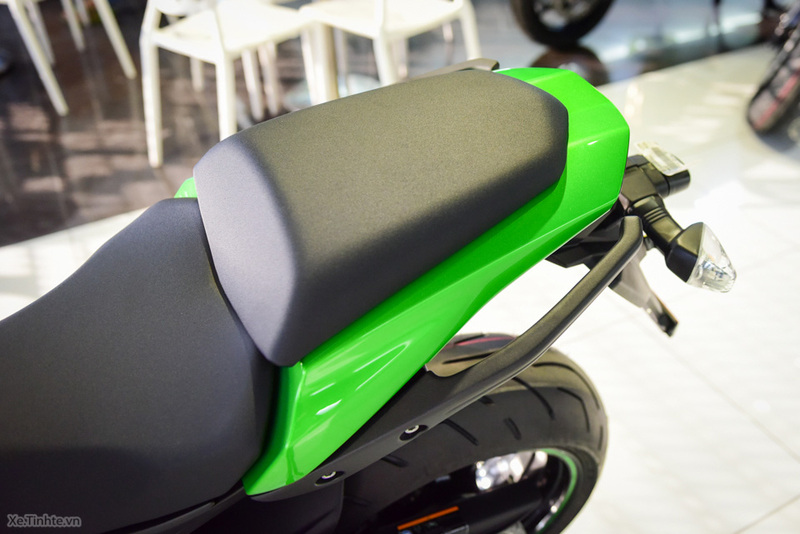 Part yen after also more comfortable for people to sit, go long will lift fatigue. 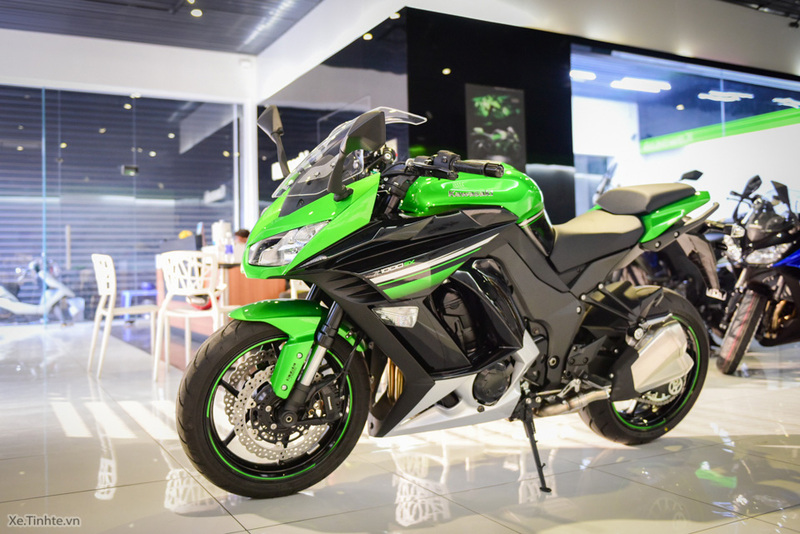 Wet weight of 231kg is Z1000SX Kawasaki, but with two driven rear grip, the speed of a bit easier than Z1000, Z1000 though the 10 kg lighter. 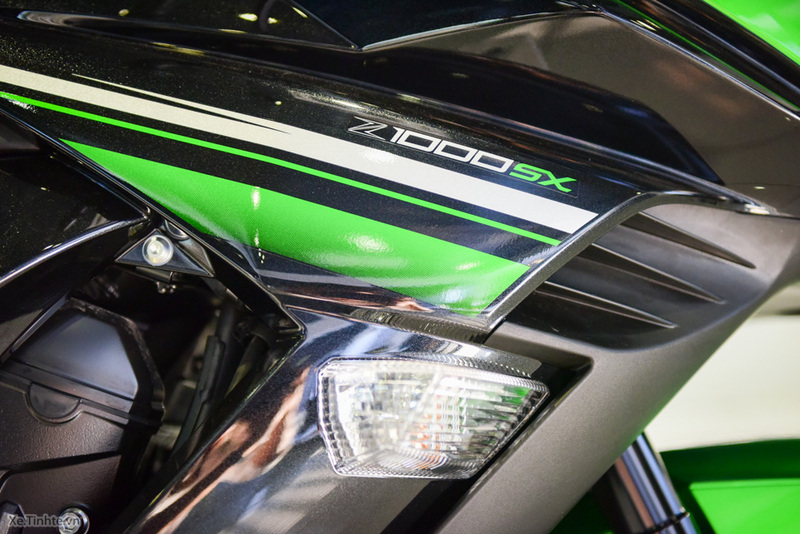 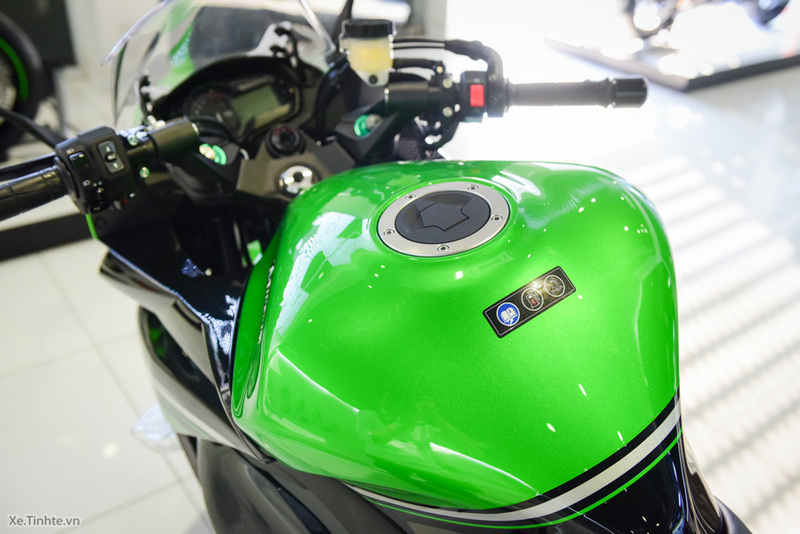 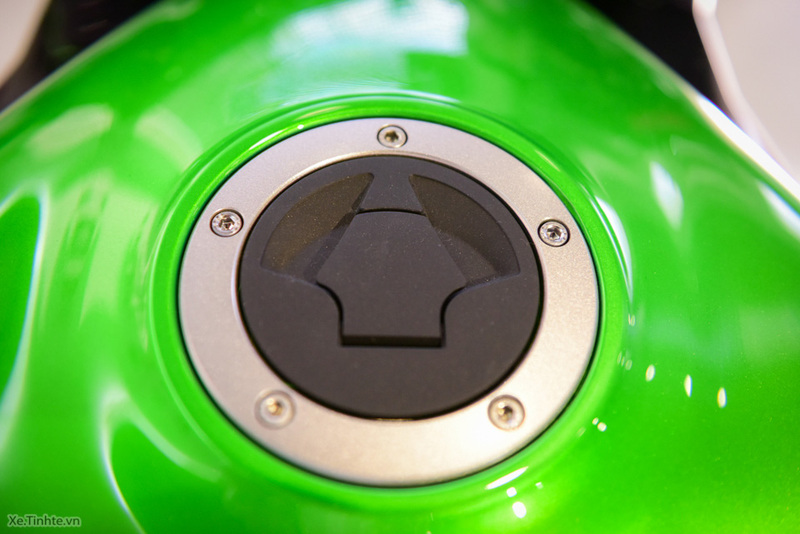 The fuel tank has a capacity of 19 liters Z1000SX suitable for long journeys. 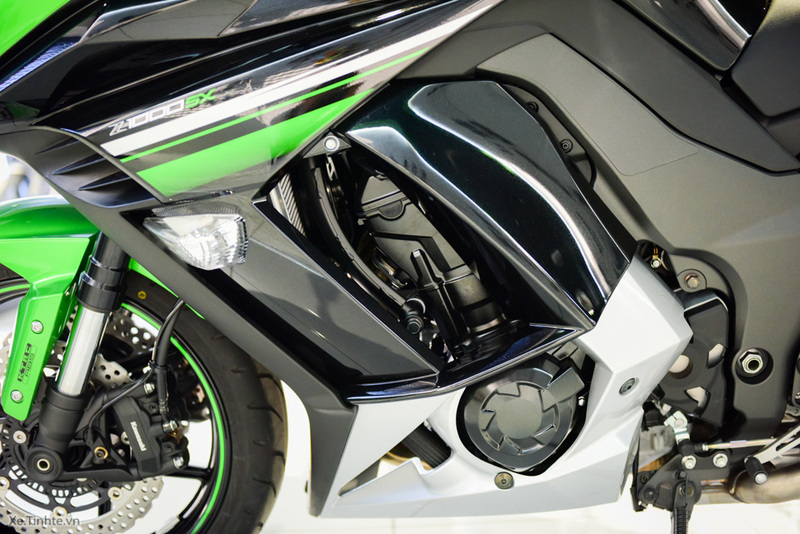 The level of average fuel consumption of vehicles as revealed by the manufacturer is 6.2 liters / 100 km. 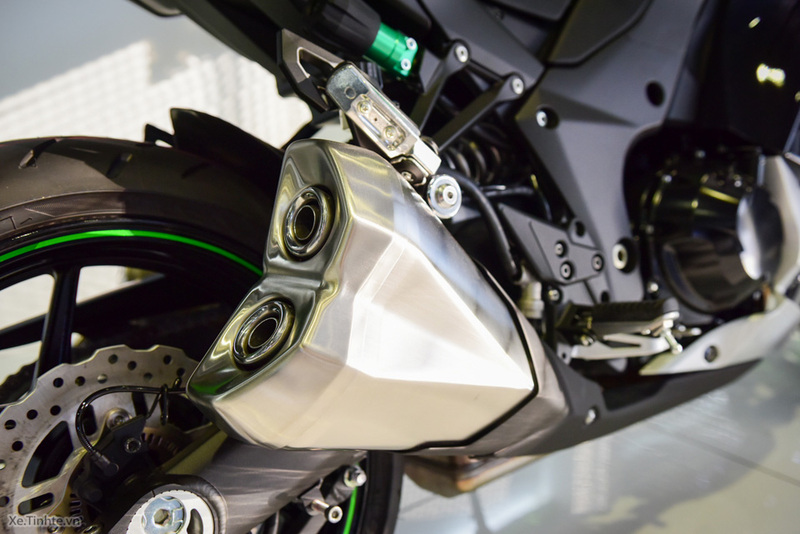 Kawasaki Z1000SX main use of the Z1000 engine. 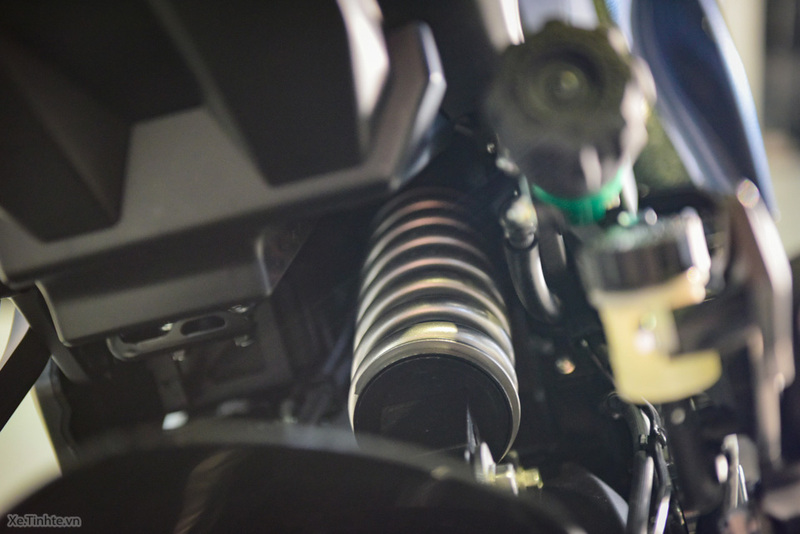 This is a DOHC engine, with a capacity 1.043cc 4 cylinder aligned and cooled solution. 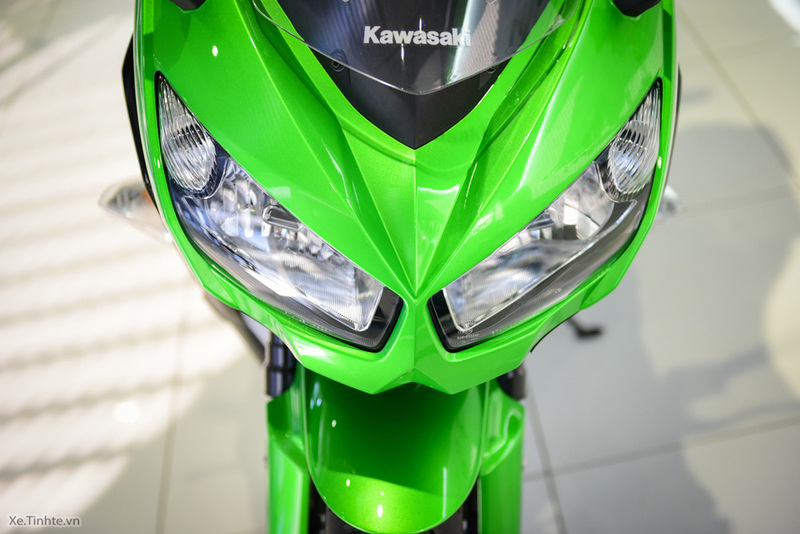 This engine maximum power of 142 bhp at 10,000 rpm / min and maximum torque of 111 Nm at 7,300 rev / min. 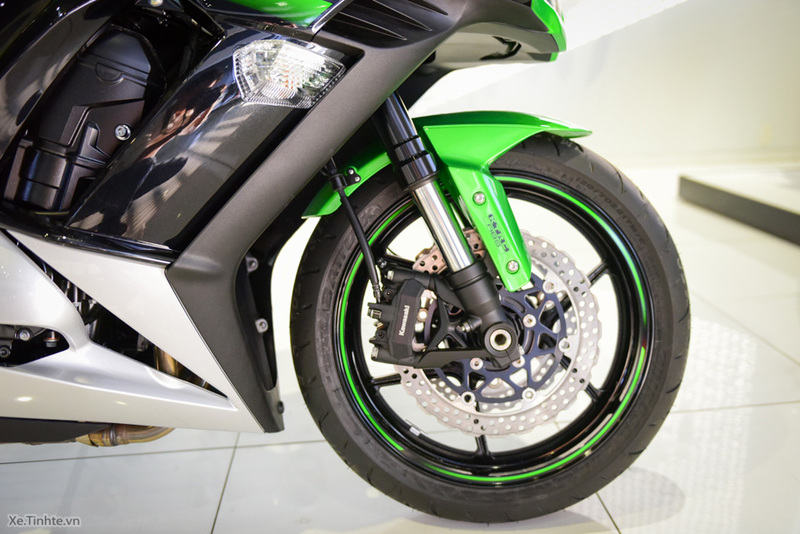 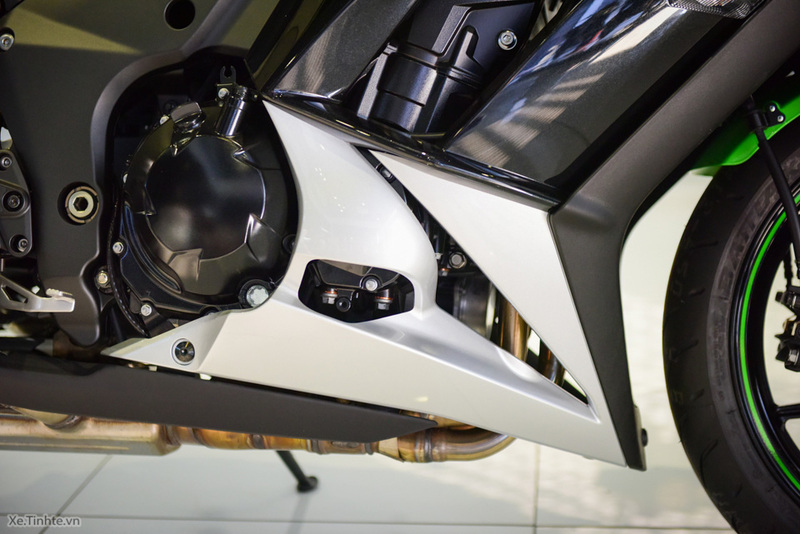 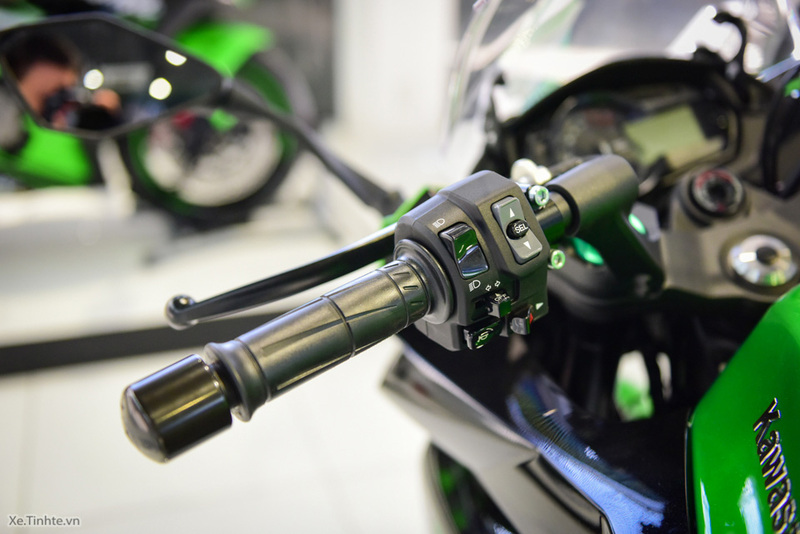 Acceleration from 0-100 km / h is 3.3 seconds and the car’s maximum speed reached at 247 km / h.
Z1000SX improved in the clutch system with clutch-slip Slipper Clutch, making the vehicle capable of moving faster and lighter. 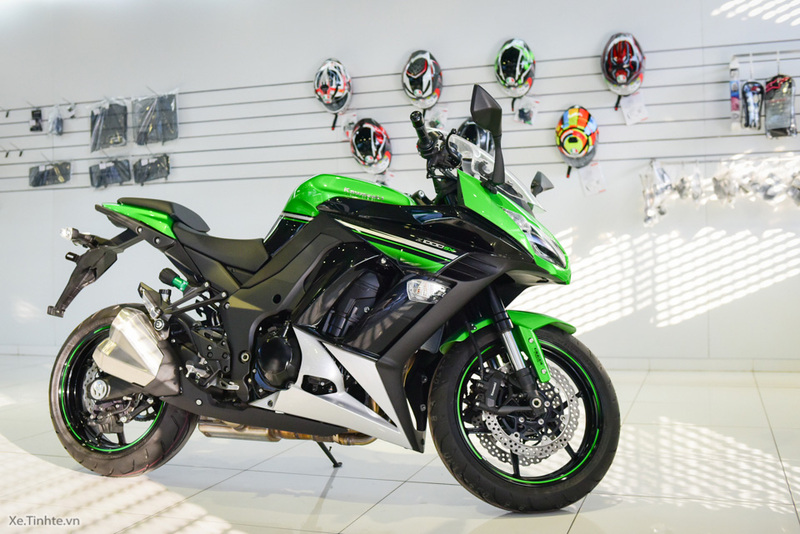 In Vietnam, the market is still quite rare Kawasaki Z1000SX and hopefully the first batch of cars Genuine Kawasaki will make it more popular. 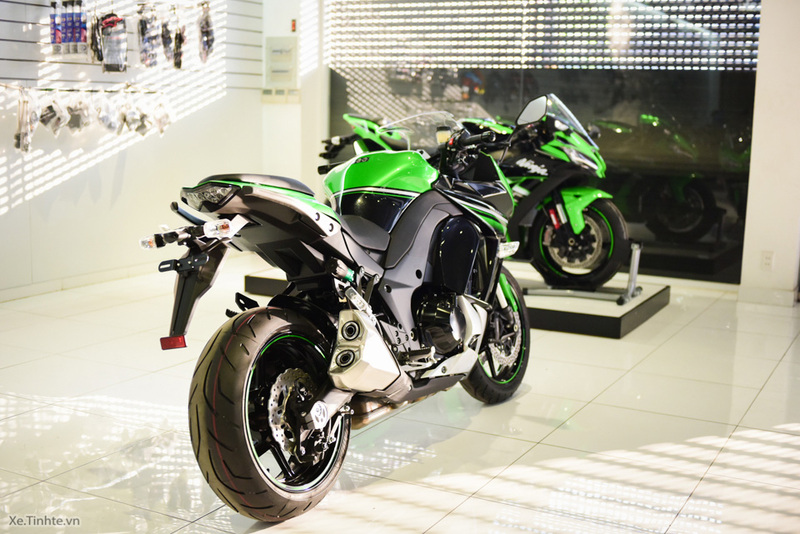 The selling price of 409 million Z1000SX is, not including the cost of the ocean. 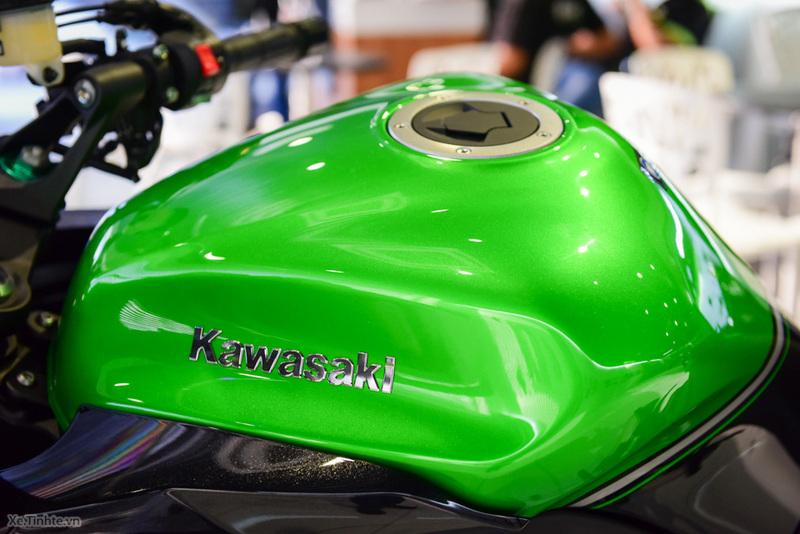 Currently there are 3 color choices green banana, blue and black.